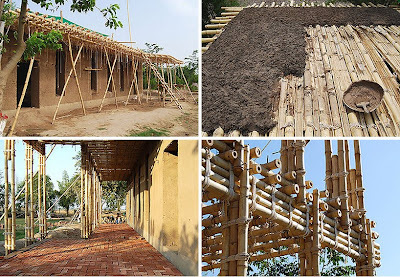 ARCHITECTURE & INTERIOR DESIGN: Ziegert Roswag Seiler Architekten Ingenieure:Earthen School in Pakistan .An excellent example of vernacular architecture. Ziegert Roswag Seiler Architekten Ingenieure:Earthen School in Pakistan .An excellent example of vernacular architecture. with cob walls comprised of locally sourced clay, sand, straw, water and earth. Resting upon brick foundations,the interior spaces are protected from moisture penetrating from the ground or rainwater. The upper flooris a bamboo framework filled with an earthen mixture. 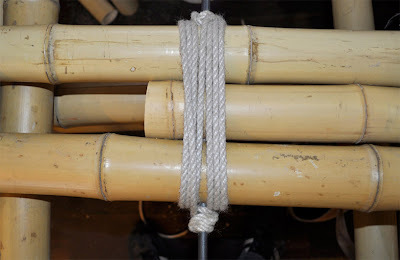 skills which were already present within the village. Αναρτήθηκε από Vassiliki Valogianni στις 2:00 π.μ. 19 Δεκεμβρίου 2011 - 8:15 π.μ. 22 Δεκεμβρίου 2011 - 6:32 π.μ. 5 Ιανουαρίου 2012 - 12:51 μ.μ. Thank you very much for your comments.If you are interested in vernacular architecture you can also search for Hassan Fathy,an excellent professor-engineer-architect from Egypt who utilized ancient design methods and materials and trained local inhabitants to make their own materials and build their own buildings. I hope to post parts of his work soon. I visited your site and i found it very interesting and i will inform my collegues about your work. 8 Φεβρουαρίου 2012 - 12:28 μ.μ.